Danny Boyle teams up with screenwriter Aaron Sorkin to bring you only the best biopic of 2015 by far, but by definition Danny Boyle's masterpiece. The film is supported by an ensemble cast consisting of Michael Fassbender, Kate Winslet, Jeff Daniels, Seth Rogen and Michael Stuhlbargh all working together to tell us why this story is perfection. Before digging deeper into the film I would like the readers know that I am a huge fan of Aaron Sorkin's writing, mainly because it feel very unique no matter what the theme is. I mention this because Sorkin has done something very unique with this film, Sorkin has wrote "Steve Jobs" in the form of three acts which in perspective take biopics to a whole new level. As the film goes through its acts you notice Sorkin's key points that separates each act from one another and ultimately leads to three different themes. 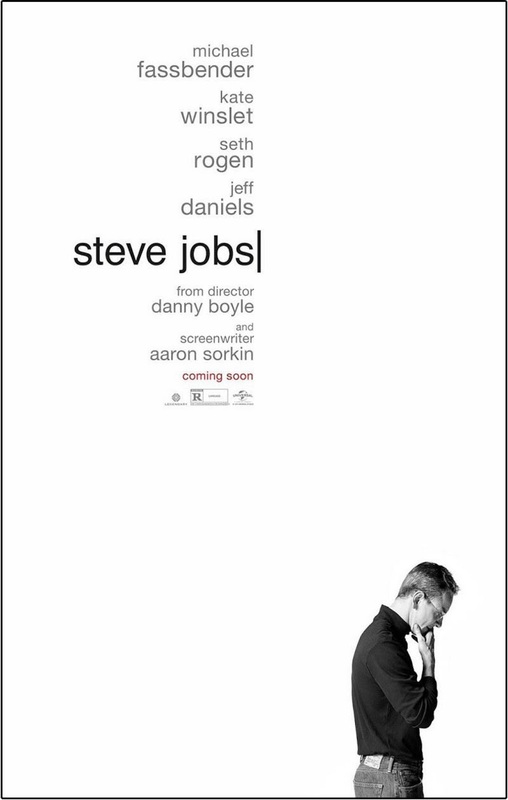 Danny Boyle is usually more lighthearted with his films but this concept was something that was just dark in itself and since Steve Jobs was the kind of person that he was, it’s hard to bring warmth into his history when he honestly had none. The plot of this incredible biopic is following the life of innovator and genius Steve Jobs who in his desperate quest to fill the world with the latest and greatest forms of technology, is forced to face his own demons as times change. I've seen several biopics this year but honestly "Steve Jobs" has a unique flow to it that separates it from other biopics. I absolutely praised Danny Boyle for what he did here being that he usually deals with darker topics in a lighter way, he chose to go completely dark for this journey not including much light into the story. Kate Winslet alongside Michael Fassbender comes a close second to stealing the show performance wise thanks to her natural flow and authentic polish accent. Over time Winslet utters a word on screen you have a “Love/Hate” relationship with her character as does Jobs himself, and we become more and more convinced that Boyle’s casting was superb on this project. Surprisingly I very much enjoyed the angle that Sorkin went with when writing this project. Sorkin dips into the notorious controversial topic of Steve Jobs and the relationship with his daughter as the theme. Taking this topic and weaving in three of Steve Jobs greatest achievements gives us a great balance of tone and a better depth of character for Fassbender. The cinematography is phenomenal on a sort of David Fincher level for the more serious moments and then returning to classic Danny Boyle creativity during everything else. 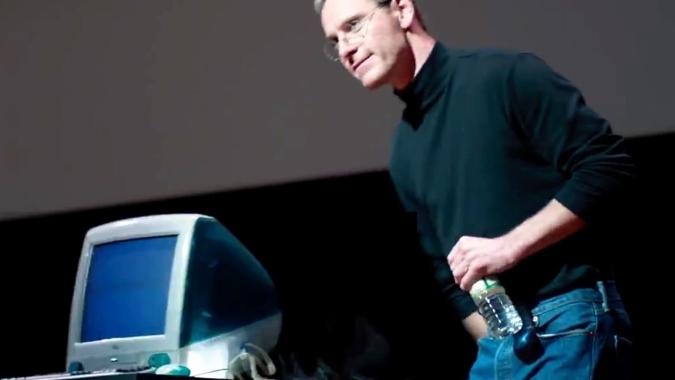 “Steve Jobs” truly is the film that sets the example “Any Project Can Be Saved”. Approximately 1 year ago this film was in a horrid state with its director dropping out and then two lead actors fleeing the project as well. Yet as soon as I heard Danny Boyle’s name I knew we would at least get something solid. 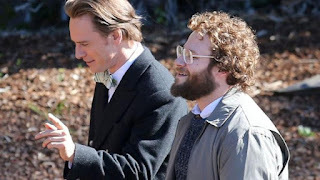 “Steve Jobs” really showcases Michael Fassbender’s true potential as an actor, proving that he has immense range and can tango very well with Aaron Sorkin’s “Ping-Pong” dialogue style. The more the film went on, the more I said to myself the word “Oscar” and I desperately hope I’m right about that. This film is a masterpiece and a true “Tour De Force” for Fassbender leaving us in awe from start to finish. I highly recommend checking out Danny Boyle’s latest entry and would also recommend bracing yourself for “Tech Savvy” humor. Because otherwise you might not get a ton of the comedic relief in “Steve Jobs” but at least you’ll understand the hard-hitting moments. Danny Boyle has truly become a master of his craft and leaves me very interested to see what he will tackle next.